Indiana Pacers star Paul George decided to use some of his newfound wealth (between $80 and $90 million) to make others happy. 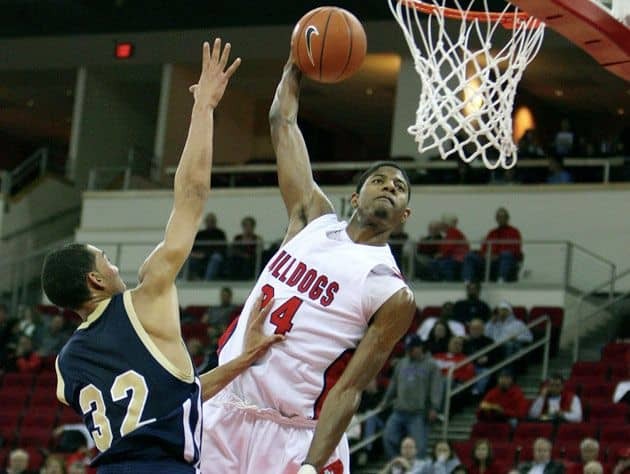 After signing a max contract in the offseason, George decided to buy every single one of the seats available for Fresno State’s Nov. 16 game against Cal State Northridge and simply give them away for free. George purchased the tickets for the Save Mart Center’s full 15,596-seat configuration. All season ticket holders will have their same seats for the opener. Fans will need to print off a voucher at http://imgur.com/8fxYsZm, then redeem those vouchers at the Save Mart Center ticket office. Vouchers are available immediately and are redeemable for one ticket each. Fresno State Athletics Director of Development Jennifer Jory also shared George’s gesture.
.@Paul_George24 bought all the tickets to Fresno State Men’s Basketball game on Nov. 16! Thank Paul & pick up your FREE ticket! Thanks PG! Listen to @940ESPN to hear where to pick up vouchers for free tickets to the Men’s Basketball game on Nov.16! Thanks to @Paul_George24!